Bill Maher is a massive jerk. He’s also an unapologetic socialist. So, it’s not surprising that he tries to club the victims of Hurricane Harvey in Texas with his Marxism. Yesterday, on “Real Time,” Maher claimed that responsible people paid taxes and believed in climate change. And he insinuated that not only didn’t Texans pay taxes, but that they were moronic for not buying into the global warming hoax. You see, Maher, the genius that he is, is blaming Harvey and Irma both on climate change. If he had any real brains at all, he would know that hurricanes run in cycles and it is ridiculous to claim this is from non-existent climate change. The dishonesty and condescending attitude is just thick here. Maher went on to again insinuate that Texans now expect a government handout, which is also not true. As bad as they were hit from Harvey, Texans would recover without the government stepping in. 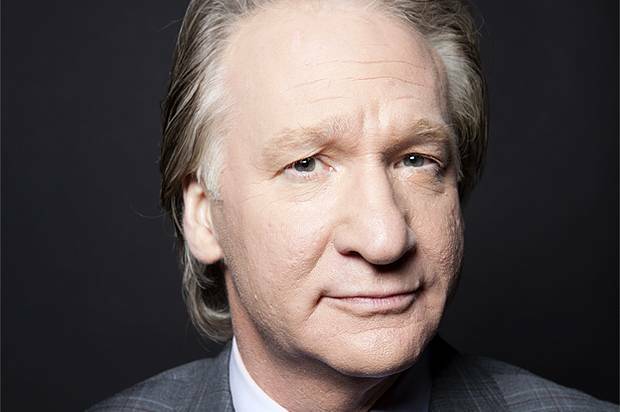 I find it disgusting that Maher would use the tragedy in Texas to push a socialist agenda. He doesn’t care who got hurt, what they lost or who died… he cares about scoring points against conservatives. That is just reprehensible and downright evil in my book. I noticed his guest also tried to blame some of this on Ted Cruz, which is a crock as well. Let’s get this straight… Texans pay a huge amount in taxes. While their tax burden is less than other states, the state is so large, it accounts for a great deal of income taxes paid. They are also independent and tend to help their own. Maher seems to believe that since Texas isn’t a state with crushing progressive taxes and communists who believe in climate change, that somehow they deserve a catastrophe and certainly don’t deserve any help. Spoken like a true communist elitist. Texas does just fine without the likes of Bill Maher, thank you very much.